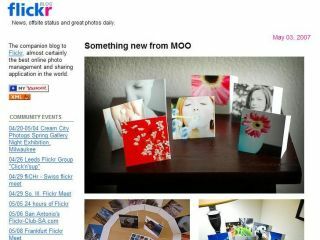 Yahoo is to close its Yahoo Photos sharing site and move users to Flickr. Next month, millions of Yahoo Photos users will be notified that they need to upgrade to Yahoo-owned Flickr , or other competing photo storage websites, Yahoo said yesterday. Rival photo storing websites include PhotoBucket , HP's Snapfish , and Kodak Gallery among others. "Flickr will get top-billing, of course," Flickr co-founder Stewart Butterfield said in an interview with Reuters . Yahoo Photos is a conventional photo storage website for users who are more interested in printing their snaps. Flickr users, on the other hand, are more likely to share digital photos online. Yahoo Photos has lost significant market share over the last year, during which time Flickr has grown. Flickr now has 4.5 per cent of the US online photo storage market. Yahoo bought Flickr in 2005.